Many cases of recycling only help postpone permanent waste generation. This happens if an original material gradually loses its quality while being recycled. In which case it cannot return to the same manufacturing process. It has to be reprocessed to lower-grade products, which are not necessarily recyclable. Closed-loop recycling is a more sustainable concept. It means that recycling of a material can be done indefinitely without degradation of properties. In most cases, conversion of the used product back to raw material allows repeated making of the same product over and over again. For example, the recycling of aluminium cans. In any sustainability scenario, closed-loop recycling of packaging and other materials is the goal. For many distribution and return sites the introduction of a closed loop recycling system gives the best opportunity to achieve a greener and more sustainable business. In many cases his can be implemented relatively quickly. Plastic waste is costly to dispose of. With a little effort it can be recycled and used back in plastic bags and packaging. This not only offers substantial cost savings but also gives a very positive environmental message to the consumer. 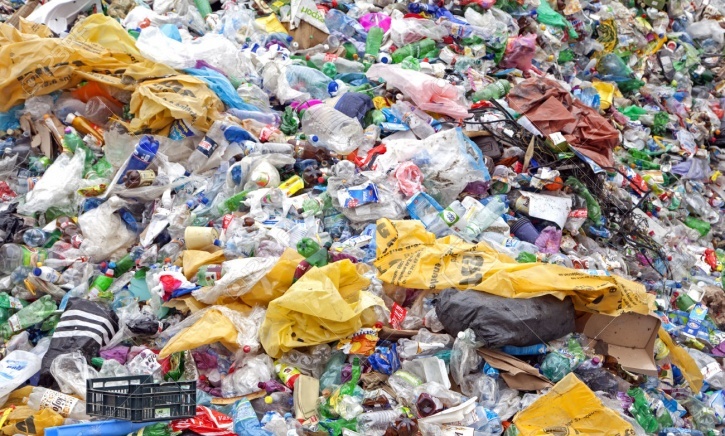 China has closed the door on mixed waste for partial recycling. Other Asian countries are still taking it, but it is felt they will also slowly close the door. They don’t want to be the “Dumping ground for the West’s waste”. Thus, the disposal of this mixed waste is now becoming an issue. Incineration, which is still termed a “Closed Loop” and recycled because power is being generated from it, is increasing in cost. If used packaging material can be separated, then much of the resulting ‘pure’ recyclable material has a value. Rather than facing the increasing cost of paying for its disposal the material can be sold. 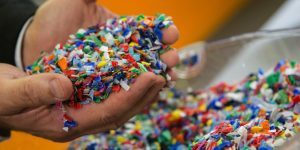 It can be re-used to produce new packaging and plastic mailing bags. In addition, a double sealing strip on dispatch polythene mailing bags enables the packaging to be reused for returns. The purity of the recycled plastic packaging can be further improved by the use of plastic address labels and lower ink usage. Coupled with consumer education on the importance of returning the item in the correct way recycling of packaging can be vastly improved. The average amount within the e-commerce sector of recyclable return waste is 55%, with the remaining 45% being only for incineration. With minimal investment two of the three “REDUCE, RE-CYCLE, RE-USE” can be addressed through a business internally “Taking control of their waste”. We at ATL Dunbar are leading the way to introduce alternative products and processes to help our clients meet the challenges of this changing industry. We have a wide range of packaging products including pallet wrap, mailing bags and cardboard packaging on our website and we also specialise in offering bespoke packaging solutions and advice to meet our client’s individual requirements. Please do not hesitate to get in touch, our packaging experts are always happy to help.